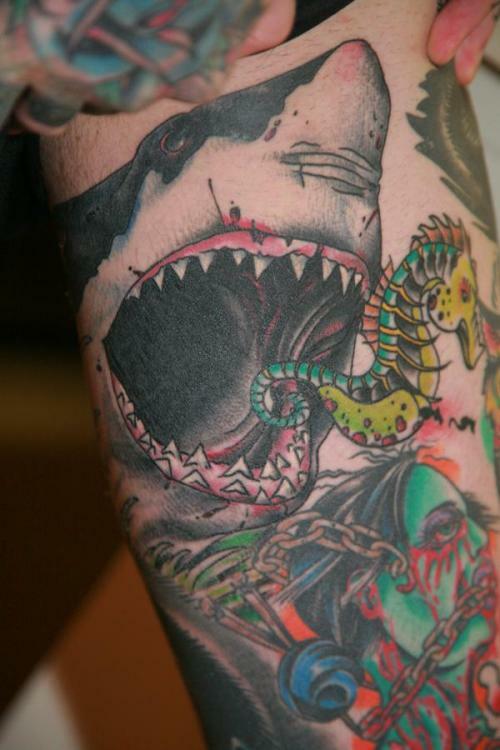 Tattoo Blog » Meet Grant Cobb! 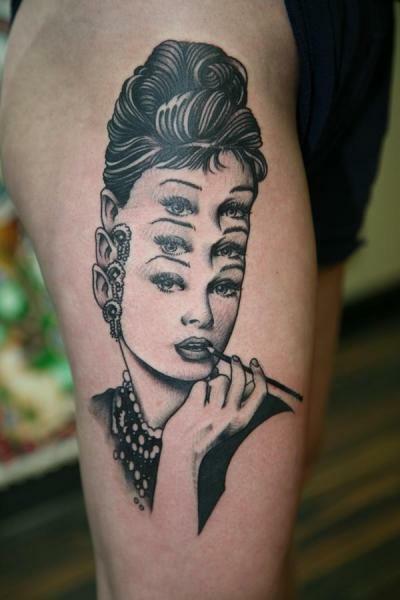 Tattoo Blog » Inspired » Meet Grant Cobb! If you ask people what career they’d expect most former US marines to wind up with, it’s a pretty safe bet that very few people are going to put their money on tattooist. In fact, if you want to go one step even further, if you asked people whether or not they believed that being in the marines could play a large role in encouraging and guiding a recruit toward becoming a tattooist, I’d say that the response would be a resounding “no”. After using an enlistment with the marines as a method to escape the drudgery of life in Birmingham, Alabama, tattooist Grant Cobb just couldn’t deny the impusle to draw and create. He began secretly painting pictures in various places around the base where he was stationed. Eventually he was caught, but rather than having a negative impact, being caught painting actually had a very positive impact on Grant and his work as an artist. Soon he was enlisted to paint murals in three different military bases over a five year period. In the final two years of his time with the marines, Cobb took on an apprenticeship at a Viriginian tattoo shop, working nights and weekends. It was here that the core of his tattoo education was cemented, instilling in him a passion for tattoo work and the lifestyle that it provided. Fourteen and a half years later, Grant Cobb is still at it and pulling off some of the best tattoo work in the business. His pieces range from small, detailed works that highlight his ability both as an artist and his understanding of composition, to massive back pieces that are intricate in detail and rich with colour. Whichever way you slice it, he’s rad.